A Life without Anorexia: Vegan answers - influecing family, do i miss non vegan foods?, how much to eat on a plant based diet? Vegan answers - influecing family, do i miss non vegan foods?, how much to eat on a plant based diet? Have you influenced your family`s way of eating since you began eating a plant based diet? My partner was not really agreeable to me giving up animal products at first but he seems to have come round a bit now, and has even said he would like to have the same to eat as me a few times a week! Was your family ok with you going vegan or did they have concerns - ie health wise? If so, did this effect your choices? I have also influenced the 3 house mates i have lived with the past year. All began eating a little more vegetarian when i moved in... not because i said i was vegan or because i cared or was bothered by what they ate, but they made changes regardless. They all mentioned they got inspired by the food i ate and made and how colourful it look and smelled so good. 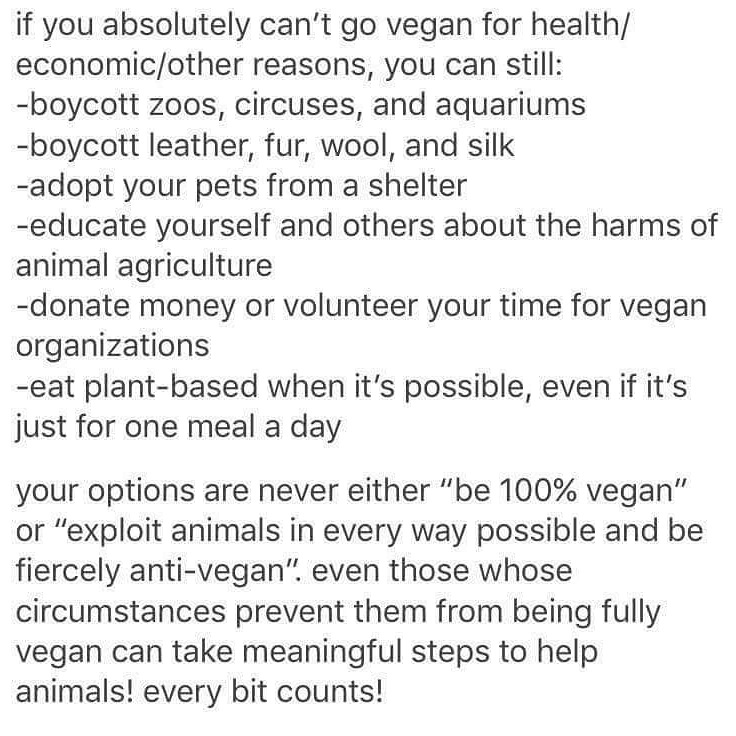 So whether those changes lasted once i moved out, i dont know... but while i lived with them it felt nice to know that they have limited their consumtion of animal products somewhat, and also gotten inspired to eat more plant based!! And did my family have concerns health wise? Yes my mum did... not so much my sister or step dad, nothing they voiced anyway. But my mum was very anti when i said i was going vegan. Of course it didnt help that i was very depressed and had alot of stomach issues at the time which made it hard to eat enough, and then of course i lost a bunch of weight at the same time i made a transition to a vegan diet. So my mum was rather concerned and anti my choice also the fact that i lived on my own at the time and my mum did think it was me relapsing - which is understandable. If i was in her situation i would most likely have thought the same thing so i never took that personally, instead i stuck to my motto of actions speak louder than words. I might not have been able to convince her i was healthy or making the decision for ethical reasons, but i could atleast show her and now thats what i have done. So now she doesnt have any worries, even if at times she convinces me to eat eggs but she has seen how happy and good i am feeling and that its not just a diet, but a lifestyle and mindset. Infact, over Christmas my mum mentioned how good it was to see me so happy and that it had felt like a while since she had seen me so happy.... and i was very happy during Christmas, but most of all it felt nice to hear her say that. To hear that i looked happy and energetic and alive again! Did you find it difficult giving up certain foods when you became vegan? Like I know you liked your Ben and Jerrys and do you miss/crave your favourite chocolate? Do you ever get cravings for your old diet? No i havent found it difficult which is strange haha. But thats because there are so many delicious vegan options so i dont feel restricted in anyway. I went plant based over night - even if i have made one or two unknowing mistakes - and for most people that is difficult. But i think i just felt ready for a change... i was consuming so much eggs, chicken and quark beforehand that it was almost like my body was saying "no" and wanted the change to a more plant based diet. Of course i didnt go from red meat and milk lover, i had already begun buying soya milk and already ate vegetarian products so it wasnt so much of a difference for me. Also, i still have my hopes that the vegan Ben and Jerrys will sometime be available in Sweden, hahah. Someday hopefully! Hi Izzy! When you changed to a vegan lifestyle did you do it slowly, like removing one animal product from your diet at a time, or did you go cold turkey? Love your blog!! Thank you so much! I went vegan overnight pretty much... i ate or threw away the animal products i had in my fridge and pantry and then just restocked with all vegan options and from then on it was all vegan :) For most people i would suggest doing is progressively so that the changes dont feel too overwhelming. But also to do your research, find what products are vegan, find recipes you can make, write a list of recipes and food suggestions. Begin with a few vegan meals per week, switch to vegan options, look up nutrition and where to get vitamins and minerals from (or ask me/check my blog) :) Ive noticed that people usually fail to keep up with a vegan diet if they skip those steps or try to make changes too quickly. How many calories should the average woman be consuming on a plant based diet? Is it the same as the standard recommendation guideline or is it more? Is it possible to eat the full amount of calories eating this food - vegetables and such aren't very calorific so I`m wondering? 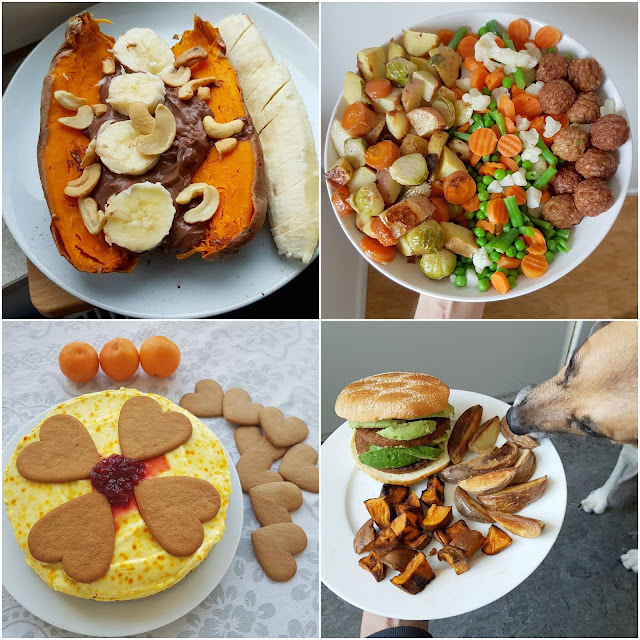 Love the way you`ve gone so successfully vegan and that you are so happy with it! Hhow many calories you need is highly individual so i cant tell you, but its pretty much as the standard guideline of 1800-2200kcal for women and even more if you are active. However you do need to take into consideration that 1) eating alot of fiber can fill you up and lead to you not getting enough energy/calories or 2)the fiber limits the amount that is absorbed from other food as well as 3) proteincombining is important(i.e eat varied) and that the protein absorption isnt as good as with animal products. As well as making sure to get enough iron and calcium and EPA and DHA fatty acids from supplements or from walnuts, chia seeds, oils etc There are things to consider, as well needing to take a b12 supplement. Yes it is possible to eat enough calories on a vegan diet... i mean you can eat oreos and vegan pizza and drink cola and still be a vegan? Or you could eat just fruit and barely get enough calories... but neither are recommended or healthy. I eat around 2500-2800kcal daily on my vegan diet, and last year when i was gaining weight i was eating around 3000-3500kcal on a vegan diet, so yes it is possible. However i can eat a large amount of food so its not hard for me to eat. If you are someone who gets full very quickly then its harder, but not impossible. Remember that vegan food isnt just vegetables and fruit and lentils... you can eat avocado, nuts, seeds, oils, vegan substitue meat, potatoes, pasta, oatmeal, rice, chocolate, candy, chips etc So if you get full easily just eat more calorie dense food. For example i was adding 2-3 table spoons of coconut oil into my diet when i needed to gain weight as well as lots of vegan cheese sandwiches and when i made soups i would add oil and oatcream and when roasting vegetables i would add lots of oil as well, and of course lots of nuts and seeds daily and that helped me to reach the required energy intake. Yeah she has eaten soja and quorn however from what I understand it's not good for dogs or in big amounts it's not good anyway. Daisy loves berries and peas and beans so she gets them sometimes but usually it's just dog food as I dont think she should be eating human food just in case haha. And with seitan I'm not so sure how good the gluten/wheat gluten is for dogs? hi izzy, thanks for writing so many inspiring and wonderful posts. I am still in weight restoration, but I found that I still can't gain weight on a 3000 to 3500 calories diet. Do you think I should go to 4000? How fast do you suggest to add on calories every week? Thank you! A very popular newspaper had an article today that called kilojoules a 'health-hindering nasty', and gave tips on how to prevent them from 'passing your lips'. This makes me want to cry. The part of the paper it was in is the 'health' section, but all it ever goes on about is weightloss. I wish the modern world wasn't so obsessed with weight loss. I know, its rather upsetting how media and people talk about calories and food as if its something bad, when it isnt. We literally need calories to live, just like we need water and oxygen. Of course the calories can come from McDonalds burgers or from broccolli, but surviving on just either of them isnt healthy, its the balance. I've read other quotes/memes where calories are depicated as something negative... however that just shows that people are uneducated about nutrition and energy when they believe that "all calories are bad" or "the less calories the better", when that isnt always true. All i hope now is that more and more people step forward and influence and talk about health and balance and not just weightloss and diets. Thank you for posting this and answering questions. I think it is wonderful that you have influenced so many people to try plant based eating and its good that your family are supportive of your choices. They are so right - your food always looks amazing and so colourful and varied!